What is the Process for Selection this Air Force Afcat Exam job? If you meet the eligibility criteria, please click on “CANDIDATE LOGIN” in the career website and follow the instructions. The Process for applying these Graduate Pass jobs in India is to apply online. 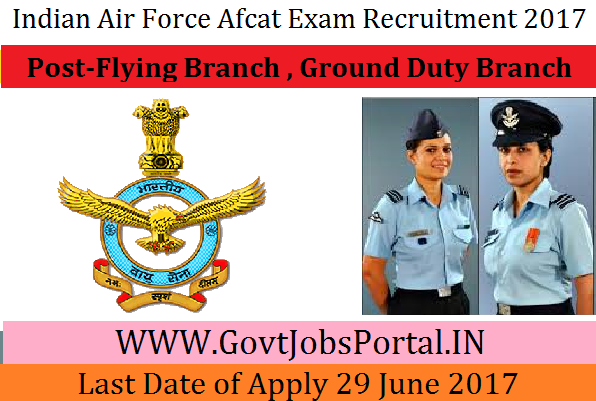 There is no other way to apply these Indian Air Force Afcat Exam2017 jobs. Below we also share the direct official link to apply. We advise all interested candidates to click on that link for online application form. 1) Candidates are required to maintain their unique E-Mail ID active throughout the selection Process. 2) PAN Card and Aadhaar card is mandatory to join AFA.